The creators of a new, massive emergency flotation device called the Centifloat were inspired to action by the horrifying images of drowned Syrian toddler Aylan Kurdi. Centifloat is a tube that measures 52 feet long, can be inflated in 3 minutes, and has enough grab handles to support 60 people. Inventor Ben Board and his team work at Unique Seaflex, a firm on the Isle of Wight dedicated to creating sea rescue equipment. In the wake of the heartbreaking pictures of 3-year-old Kurdi, the team worked day and night to come up with the Centifloat. Its design is simple but ingenious. When a boat capsizes in the Mediterranean—or anywhere—hundreds of people are cast upon open water, overwhelming the resources of rescue workers and passing vessels. The Centifloat can be quickly deployed in order to keep people afloat, buying rescuers precious time. When two Centifloats are deployed, they can be lashed together to create a raft-like space where children and the elderly are placed in order to get out of the water. 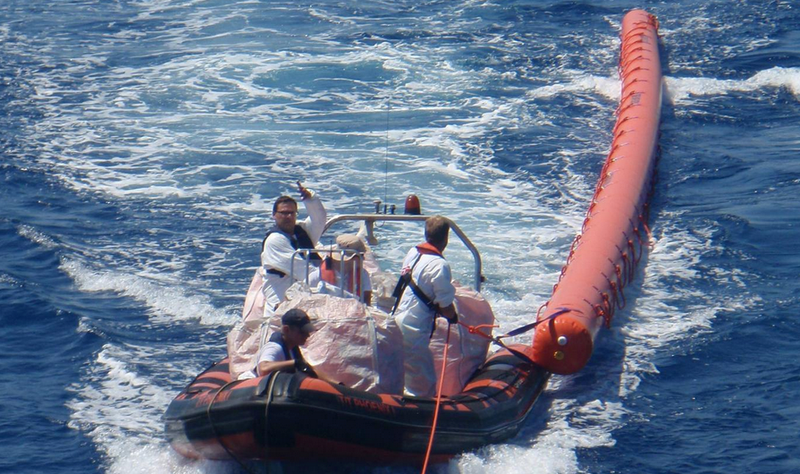 Beyond the current refugee need, the floats could be invaluable in a wide range of shipwreck situations. For £1,500 (about $2300) Centifloats have already been sent to the volunteer-run Migrant Offshore Aid Station (MOAS), the first private maritime search and rescue organization. The Centifloat team hopes to keep additional floats coming to rescuers and overwhelmed coast guards. So far the Centifloat initiative has been wholly funded by donations from workers and suppliers, but supporters can now help Crowdfund an additional 10 Centifloats for use in the Mediterranean. “I can’t do anything about the bigger problems in the world, but I could do this,” Ben Board told The Telegraph. No doubt destined to save countless lives, the Centifloat is a miraculous invention and a way for people all over the world to contribute to ongoing efforts in the refugee crisis.